Windrush Black includes three extra sets of high definition, lightweight and shatterproof polycarbonate lenses, to ensure the very best visibility whatever the light conditions . Wider lens coverage provides further protection to your eyes from sunlight, wind, sand and flying objects. 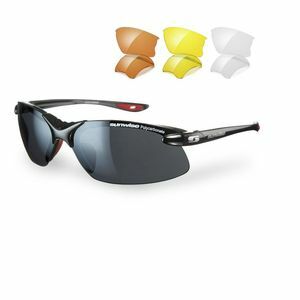 Clear, low, medium , strong light interchangeable lenses with each pair.